Welcome to the wonderfully hit-and-miss world of free-to-play. In this genre come buffet of sweet and bitter tastes, we have a plethora of titles all baying for your loyalty and offering glimpses of would-be gaming excellence, and do you know what the best part of it is? It is all free! Isn’t that just so exciting? Borrowing a very tired saying however, “There ain’t no such thing as a free lunch” and Mythos round about proves this sentiment. 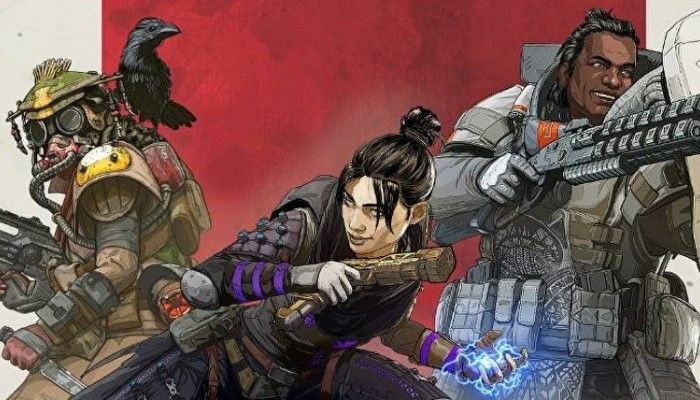 Where we should be squealing with the type of glee that past Rogue-like games have conjured, we can only recoil in disinterest at some rather unrefined, boring, and tired gameplay. After dining out with this particular freebie, you will only find yourself biting back a sour taste stuck at in your mouth, and with a severely numb left-clicking finger. It is time to look back at your depleting wallets and decide that capitalism maybe isn’t so bad after all. 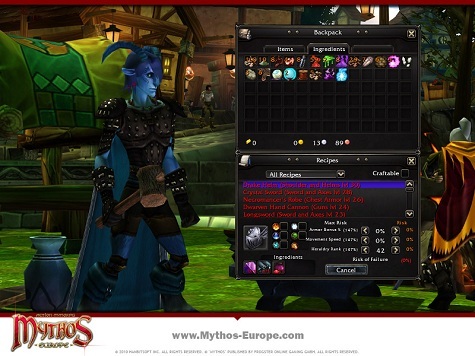 Mythos is an online hack and slash game that has had somewhat of a convoluted development history. Boasting visuals that look like a strange mixture of World of Warcraft and Torchlight, and also equipped with a UI lifted straight for the Diablo series, this is one title that will have your head scratching with confused disappointment; the main complaint uttered throughout play being "missed opportunity". 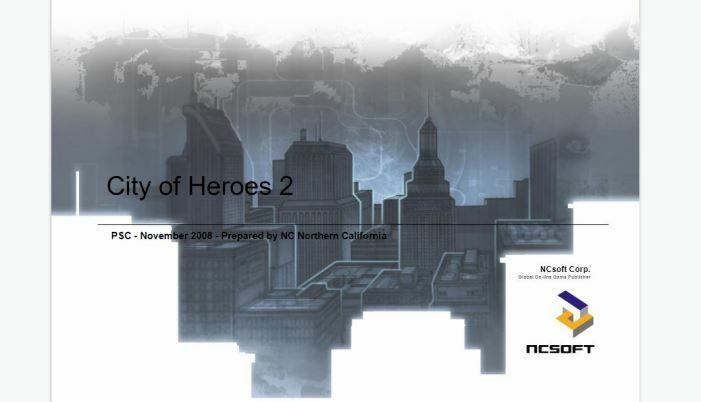 Initially this game was created by Flagship Studios, of which was mainly comprised of ex-Blizzard employees. 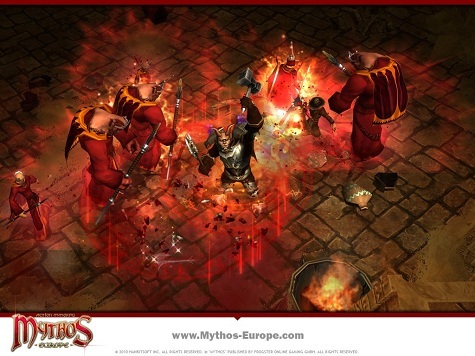 Developed as a network demo for their soon-to-be released title Hellgate: London, (we all know what happened there) Mythos garnered significant praise and was ultimately expanded upon into its own title. 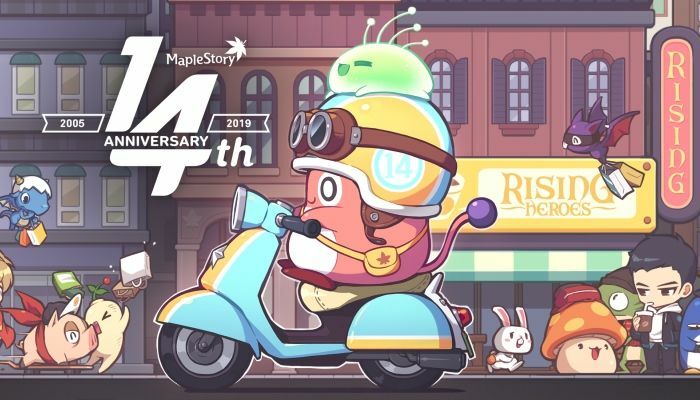 In 2006 Flagship studios closed its doors and Korean based publisher HanbitSoft purchased the rights for the game. The original developers of the hack 'n' slasher went on to found Runic Games and would eventually release Torchlight, (the spiritual successor to their past unfinished project) whilst HanbitSoft managed to slap MMO features onto a game that was now half a decade in age. I know which one I'd rather play. From the outset, Mythos feels tired and hastily assembled. The set-up is familiar, you are tasked with character creation, picking one of four races. The choices are Human, Cyclops, Satyr, and Gremlin – each roughly dividing into the standard neutral, beast, goblin/dwarf, and elf. From here a player can choose one of three umbrella-style classes which are developed later through talent trees. From this initial step into the game things begin to pastiche or down-right rip off other games. 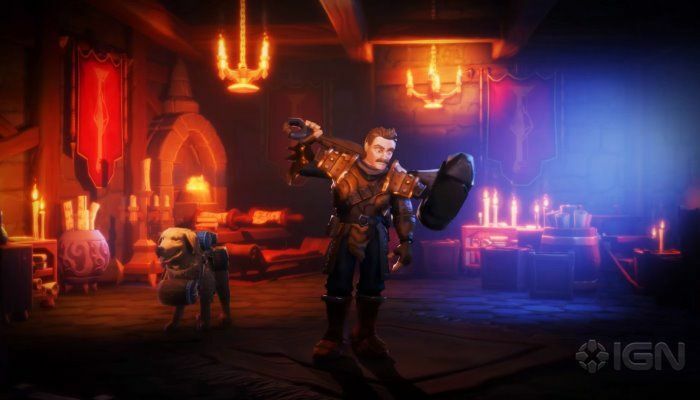 The character models are graphically interesting but hold little imagination, and the professions are thinly re-titled copies of the Torchlight series, albeit with the bad luck of being developed first and released last. 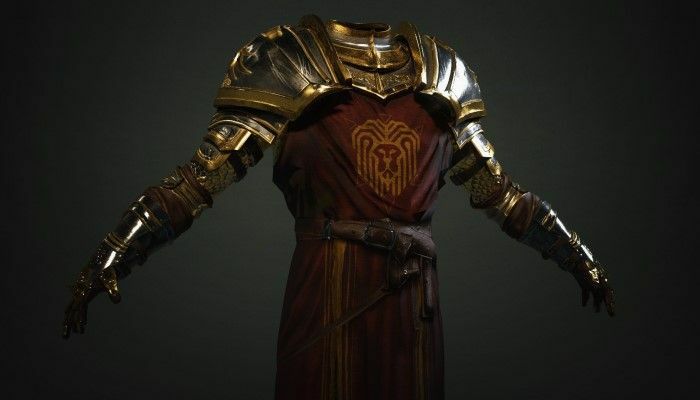 The keen eyed among us will also notice a stray towards the World of Warcraft art style, and while this is understandable (the game was originally crafted by Blizzard-folk) you would have thought that to avoid the squeals of “WoW clone” there would have been more uniqueness. Once an avatar has been sculpted it is time to enter the game world, and from here things go even further downhill. After the initial “YOU ARE THE HERO OF LEGEND, SAVE THE WORLD” set-up, you are allowed to take control of your character. The camera is an early annoyance as the isometric view-point feels uncomfortable and a little too far zoomed in on your character. The colorful and richly detailed world is nice to look at but the small postage stamp of scenery you can view will have you tugging at the edges of the screen to view further. The game does offer another camera perspective in the form of “MMO Style” but this feels even more strained than the first, as errant mouse swipes will see your view shift at annoying times, and in all it just feels a little too unnatural. So once you have grappled with the camera, you will find yourself in the familiar sights of an NPC with a “!” upon their head. The quest system within Mythos is little more than fetch or kill X of Y and return, and the text that serves to fill in some sort of reasoning for doing so is the most uninspired I have come across in recent times. Like most MMORPGs you will simply scan for the basic information of where to go, but in Mythos these details are often left out and you will simply stumble upon objectives either wandering through the wilderness or by heading into one of the games immersion-breaking portals. One of this MMOs most important, and yet lazily implemented systems is that of the portal which leads to one of the many randomized dungeons. Instead of creating a simple world in which caves, catacombs and crypts are accessed through actual locations, a giant swirl of purple blemishes upon the lush open world areas, all with a number of locations which can be instantly teleported to. Did I miss the meeting when we decided that fully persistent virtual worlds were to be phased out? This problem comes down to the fact of whether or not you enjoy an MMORPG with atmosphere and real-world leanings. The instant teleportation of Mythos simply breaks any kind of facade that this is a virtual world to be explored and conquered through your deeds. 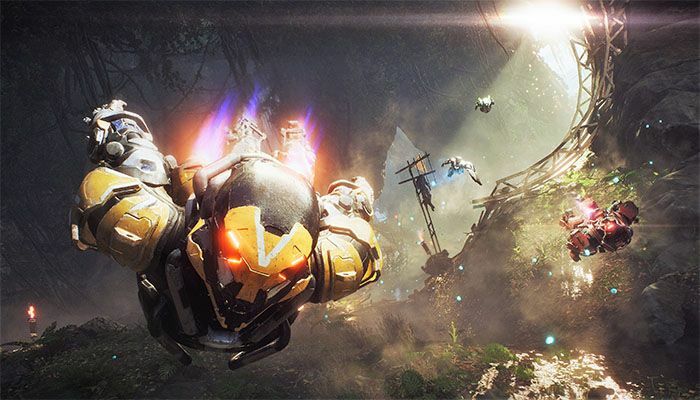 At best the latter is taken away, and at worst this element adds to the feeling that this is one hack and slash game that is woefully underdeveloped and refined – a layer of polish or even care and attention could have better integrated this feature. Sadly this feeling sums up the entirety of the game. Of course one of the most important aspects of Mythos is its actual hacking and slashing. The mold which Diablo made famous some fifteen years ago is well intact here: left-clicking will release standard attacks while right-clicks will unleash whatever special abilities are assigned to it. 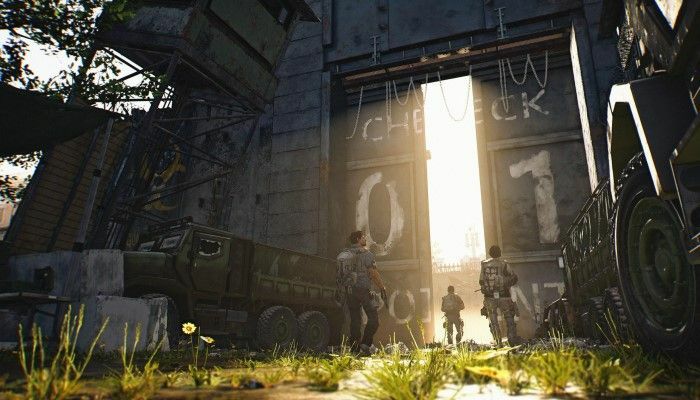 For the most part this system works as loots spills from enemies, experience is gained, and characters are developed with the resulting progression. Where everything fails however is in the general refinement of it all. 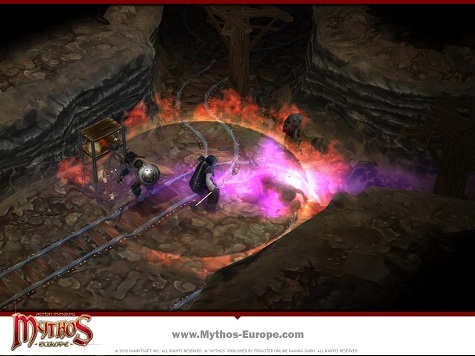 Mythos doesn’t look to expand upon the theme of Action RPG but rather revel in its old school tendencies. And while this is fine in theory, the game packs in several bugs which make it a chore to enjoy. There is a general latency issue which causes some delay to your attacks and swipes, and this also finds its way onto the hit recognition as enemies health bars usually only ever go from full to empty with several seconds of unaccounted for violence in the middle. The difference of widely varying enjoyment swings between the manic grins of slaughtering a mass of bears, to swiping impotently for a few seconds before everything catches up. When it works, it is entertaining, and even allows the classes to stretch their legs somewhat: the Bloodletter is the all-round warrior type, the Pyromancer being the mage, and the Gadgeteer being an engineer-come-rifleman. All of these are developed further with a talent tree that feels so tacked on it could be a Post-It note. Players receive a number of points which can be put in specific skills which are organized into three different three categories. Players also receive points to put into core attributes such as strength, so that damage, hit points, and certain equipment can be used. It works which is the best praise I can give it, but it is sparsely explained, poorly executed, and a bit of unnecessary fluff that fits in at an odd angle with the rest of the ensemble. 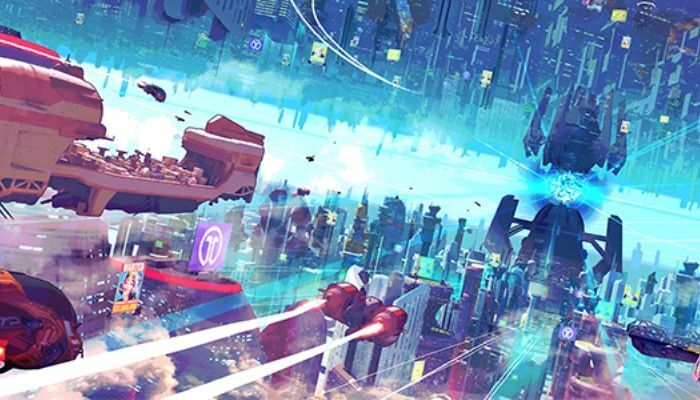 It’s a shame because Mythos could have been something truly special, but it becomes all too obvious that the title has had little development aside from its initial beginnings at Flagship. The environments while visually pretty are fairly lackluster. The open world areas are fairly small, with fences stopping exploration to any further areas, and the randomly created dungeons are usually nothing more than stereotypically grey affairs packed with monsters and ever changing corridors rather than anything that approaches the term “randomly generated”. There isn’t much in this game that will have you jumping out of your seat with excitement, terror, or astonishment in the same way that Diablo did way back when, or even that Torchlight has perpetrated in later years. One of Mythos’ prevailing problems is its lack of forward thinking or even creative design. The complete lack of trying to innovate within the genre really begins to grate. Enemies are usually nothing more than varied beasties that run to you and begin clawing and biting, and the animations with which they are dispatched lack any kind of exhilaration. Throughout your time with the game you will be looking towards your calendar, almost convinced that you have stepped through a time warp, albeit with nicer visuals, to 1997. 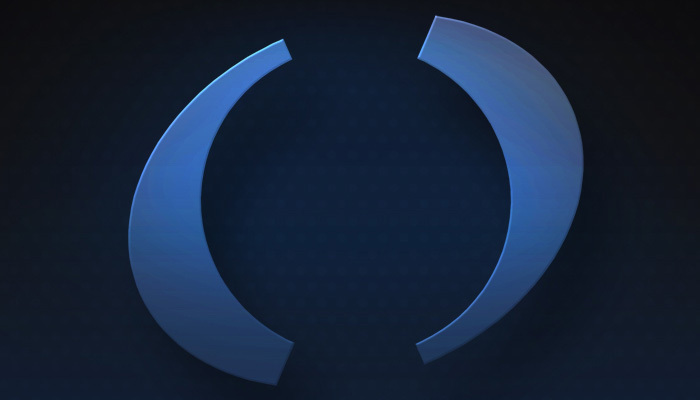 Diablo may have been defeated almost 15 years previous, but HanbitSoft are more than ready to tread back over that old ground. I think that one of the games major problems is the advent of newer games. 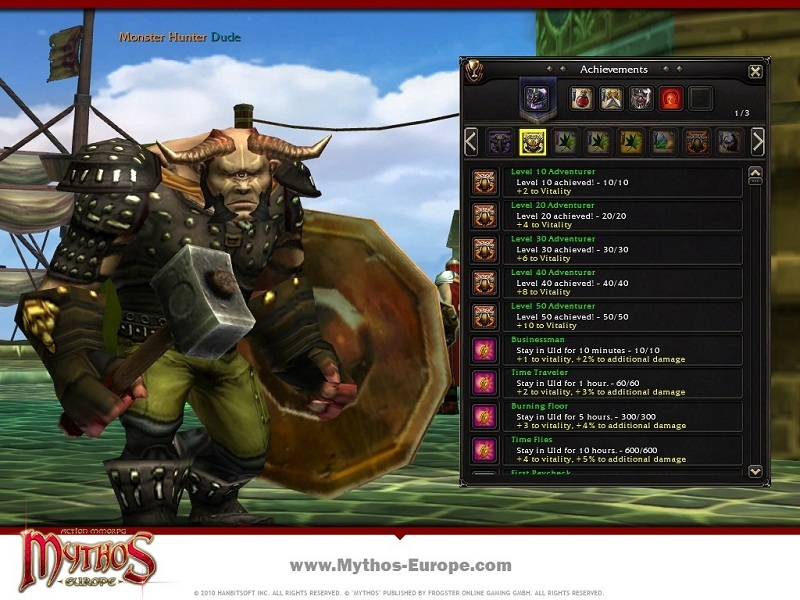 During Mythos’ initial development, more than five years ago, the title would have impressed and games such as Torchlight or even Deathspank had yet to even become a twinkle in a programmer’s eye. This is the major flaw of the whole experience; we do live in a world post-Runic Games, and as such we require more polish, more refinement, and definitely more new direction. Simply slapping on a hack ‘n’ slash control system, and adding multiplayer doesn’t make it instantly fun. Hell even Baldurs Gate: Dark Alliance and Champions of Norrath had a better co-operative system and managed to innovate at the same time years ago. A lot of the major problems experienced within Mythos simply come down to two things; a lack of thought, and a deficit of polish. 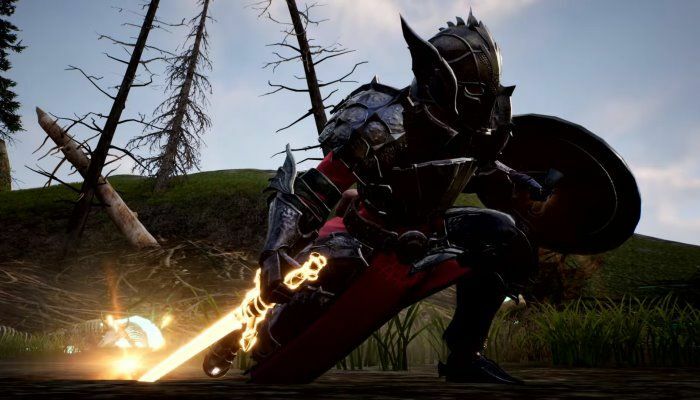 The core ideas that drive this MMO are enjoyable at heart: a hack and slash with grouping, and a virtual world in which to inhabit and adventure within, but most of the problems simply come from the aforementioned. Elements such as the bug-ridden combat, a truly tacked on talent system, and an even worse crafting system make this a strained and painful experience. Mythos has a lot going for it, but a year or two back on the drawing board would truly help to flesh things out. The title begs, steals, and borrows a lot of concepts, and yet forgets to put its own spin on occasions, and before long you will be going through the UI pointing out what came from were. Just a little more attention and a better development direction would have helped. Why the game feels almost identical to its Flagship years is beyond me. Of course a lot of this can be excused because of its turbulent development period, and the fact we are playing it at all is a miracle; but honestly? The finished product is even less well received than the Duke’s latest outing.